We already brought you a list of ten pieces of cycling infrastructure that makes lives easier for riders all over the globe. You can read it HERE. But as the love and usage of cycling grows stronger in the urban environment, the cities have to abide and some of them do it better than others. Let’s check another dose of ingenious structural solutions. The tunnel itself is nothing new because it was constructed between 1937 and 1942, therefore finished during the Nazi occupation, but it’s kept in an excellent condition to this day since around 4,500 cyclists pass through here daily. Located 60 feet below sea level and running under the Nieuwe Maas river, this over half a kilometre-long tunnel can be reached by escalators and runs next to a completely separated tunnel for cars. This two-way raised, one-third of a mile-long separated cycle track runs through the middle of Sands Street, unlike most cycle paths that are located on the roads’ sides. It all started when Noah Budnick, an advocate with New York’s non-profit Transportation Alternatives, crashed his bike on this street in 2005, which prompted the city to create this safe cycling haven. Although this isn’t a piece of architecture built and designed especially for cycling, we think that the Dutch did it again. 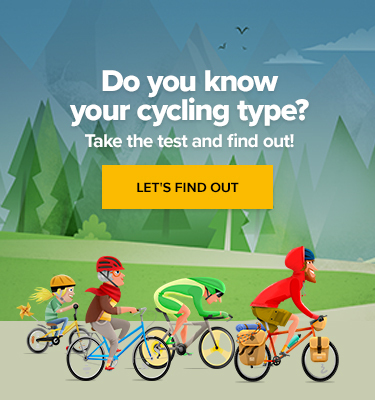 With such a huge cycling community, the city has to make arrangements to meet them halfway. And that’s exactly what happened – instead of encircling the museum, the path goes right through. The underpass in equipped with glass walls that allow people to see into the museum’s atrium. Everyone should be no longer surprised that Japan is always one step ahead. In Tokyo, an empty bike rack was a miracle to come by, because 14 per cent of the bustling city’s population uses bike to commute. Eco-Cycle stores your bike in an underground silo, that can hold up to 200 bikes and functions like a huge bike-vending machine. 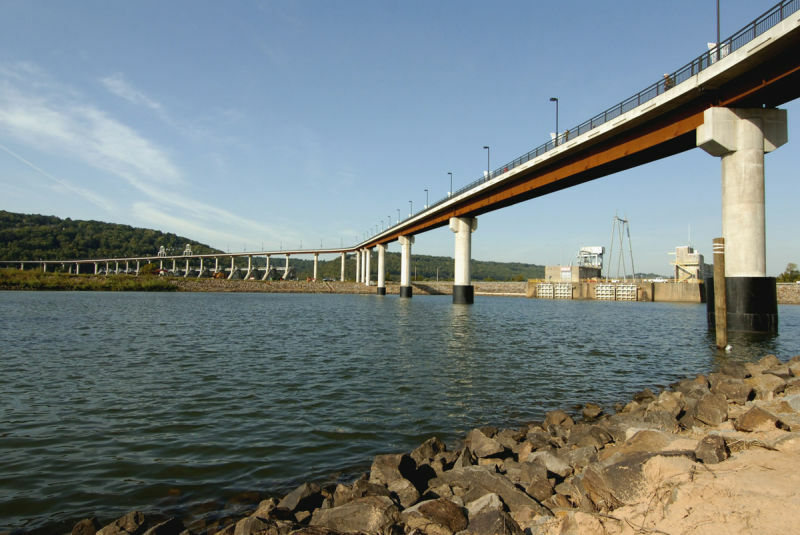 The Big Dam Bridge across the Arkansas river opened in 2006. At 0.8 miles in length, it is the longest bridge in North America built for pedestrian and bicycle use only. It was actually built atop Murray Lock and Dam, which gives you some pretty impressive views. This cycle and pedestrian bridge is the longest in the Netherlands, spanning the Rijn Kanaal in the IJburg district of Amsterdam. With its clear span of 170, it’s the first suspended bridge built in the Netherlands and is designed to complement the landscape and to connect the city’s northern suburb to the “mainland”. OK Netherlands, we get it. You’re good in this kind of thing. It isn’t just Amsterdam, it’s all over. With its white concrete structure, impressive length and illuminated glass railing the Weerdsprong Bridge is a true eye-catcher in the newly built Maasboulevard area in Venlo city. It was built by ipvDelft architects who apparently specialize in cycling infrastructure. The land down under in not only full of things that want to kill you – it has got some great cycling structures, too. The approx. 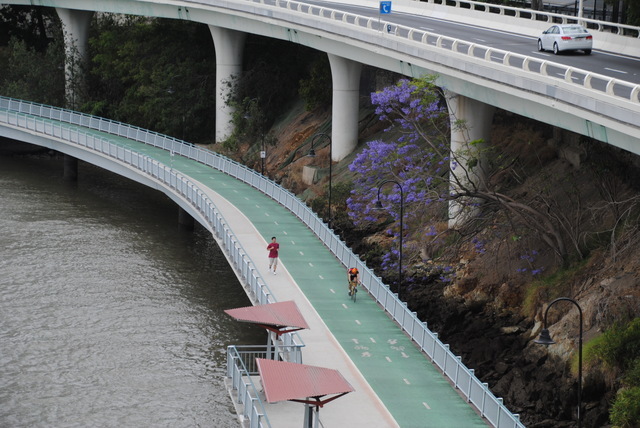 40-kilometre Brisbane River Loop is Brisbane’s most well-known ride. Its extraordinary length connects multiple neighbourhoods and there are lots of variations to the loop and it can be done in either direction. You can use it both for exploring the whole city or training. Another contribution from the sunny continent, this 24km-long boardwalk for both cyclists and pedestrians will take you through the cityscape, but mostly you’ll find yourself within beautiful mangroves, through which it meanders in and out. We’re concluding our list across the Pacific. The first car-free crossing between the two boroughs, respectively The Bronx and Manhattan, has been opened in 2015 and it’s been busy ever since because it provides direct access to Randall Island’s many picnic tables, athletic fields, and miles of beautiful greenery, and we’re not even talking about the unparalleled views on Manhattan skyline.